Krause Bricks has been a family owned and run business since 1945. The traditional craftsmanship and methods of brickmaking have been passed down through three generations, with each one adding their own innovations and modernisations. In 1909, Thomas Taylor Senior arrived in Stawell as the General Manager of the Stawell Brickworks. His son, Thomas Taylor Jnr, took over on his retirement. It was under Tom Jnr that Jack Krause was trained in the years following the Great Depression, and prior to the commencement of World War II. In 1942, during World War II, Jack Krause was deployed to Papua New Guinea as a Captain in the Australian Army, fighting alongside American forces. At the conclusion of the war, Jack returned to the small, thriving country town of Stawell and established himself as a local artisan brick maker. Methods of production were rudimentary and laboursome, involving hand rotation of brick presses to produce shapes. The original oil-fired kilns remain standing today, and are still fired up to produce beautiful old-world products. Born and raised in the beautiful Grampians region, Patrick is the eldest of 8 children born to Jack and Inez Krause. 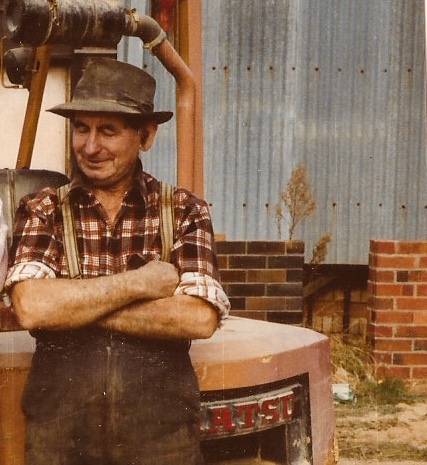 He learnt the trade of brickmaking from his father and, after completing a degree in Engineering, returned to Stawell to continue the family tradition of brickmaking - a tradition which has now been passed to Patrick's son, Klynton. Today, father and son continue to work side-by-side to produce Australia's most beautiful brick products at the original - though now greatly expanded - brickyard in Stawell. From the moment he could walk, Klynton has been been a permanent fixture at the brickyard. After school, Klynton would trail his father and uncle around learning the trade and assisting in operations. Now a Master Brickmaker in his own right, Klynton carries the proud tradition of brickmaking into the third generation. As Managing Director of Krause Bricks, Klynton has been instrumental in modernising the company's manufacturing procedures to meet the demands of the 21st century and ensure the business's success for the next generation and beyond. Klynton is passionate about producing brick products which are timeless and world-renowned. And when he's not brick making? Klynton is out fishing in the great lakes of the Grampian region, or further afield in Cairns, New Zealand, Canada and beyond. The distinctive quality of Krause Bricks has been recognised by many of Australia’s most prestigious industry awards. Most recently, Krause Bricks achieved the Horbury Hunt Award for its contribution to the John Wardle Monash University project, and director Klynton Krause won the Wimmera Business ’Young Leader’ award for his achievements in revolutionising manufacturing processes. 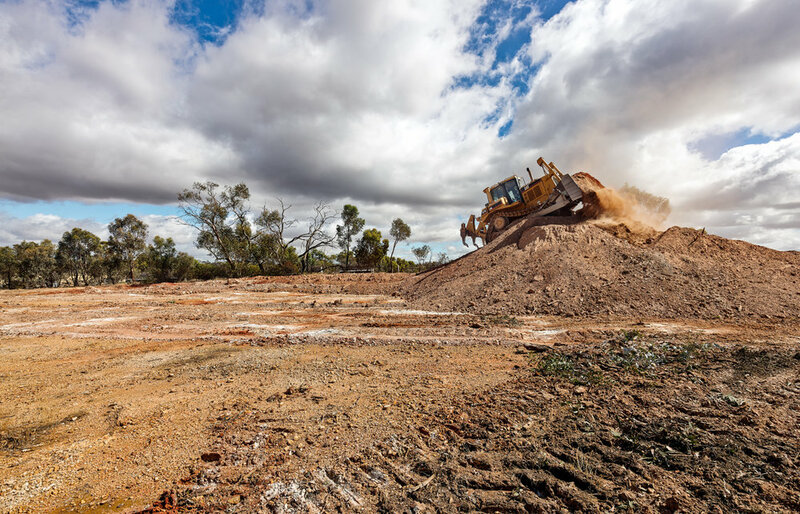 For more than 160 years, the Victorian town of Stawell has been a key gold mining hub, leaving a network of underground tunnels and disused shafts almost 2km below ground. 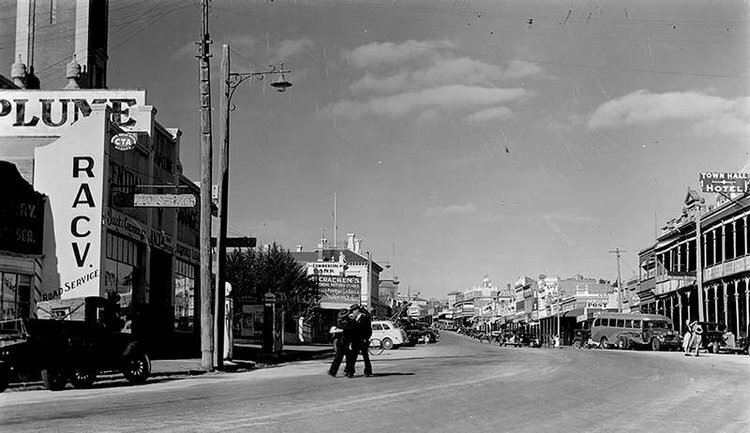 The town is now famed for Australia's most prestigious foot race, the Stawell Gift, which takes place every Easter drawing crowds of thousands to the neighbourhood, and its location on the edge of the magnificent Grampians. Stawell has been home to Krause bricks for more than 70 years. The uniquely rich clay from the Victorian goldfields and beyond is used to create a highly distinctive range of artisan brick products, unmatched for depth of colour and textural variety. Many prominent buildings and landmarks around Stawell proudly showcase Krause Bricks, including the award-winning Stawell Steps, which was constructed using materials donated by Krause Bricks. A number of historically significant houses still feature the hand-pressed patterned bricks which were a popular form of brickwork in the post World War II years, and a speciality in the early years of Krause brickworks.